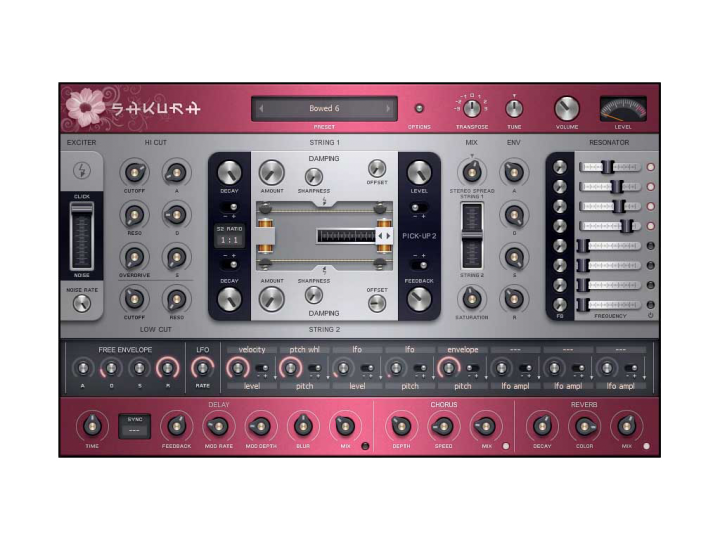 Info über "Image Line Sakura Plug-In FL/VST/AU ESD - Synthesizer"
Like the transient beauty of Sakura (Japanese for Cherry Blossom), the sound of stringed instruments blossoms and fades. Image-Line brings you ‘Sakura’, the string physical modelling instrument. • Contact - An impulse, the mechanical contact with the string, is first generated then shaped to simulate plucks, picks, scrapes, hammers, taps or humble fingers. • Vibration - Sakura’s dual string model then gives the operator control over a wide range of parameters such as damping, tension, positioning and string properties. • String interaction – The dual strings are then mixed, panned and enveloped to simulate interactions. • Acoustics - Virtual acoustic space is then simulated with chorus, delay and reverberation effects. • Sakura: Japanese for Cherry Blossom. • Hanami: The custom of enjoying the beauty of Sakura. • Sakurazensen: The Sakura-front as it moves across Japan with the developing season. 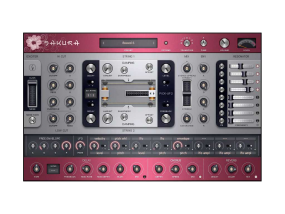 Weiterführende Links zu "Image Line Sakura Plug-In FL/VST/AU ESD - Synthesizer"